Yes, they are little bit over cooked…. but still worked to fill my boys’ tummies! 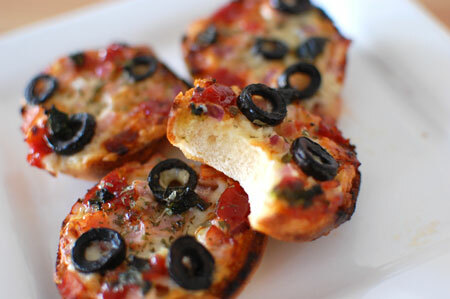 Any topping will do, but this time I just used some basic stuff : bacon, onion and olive. 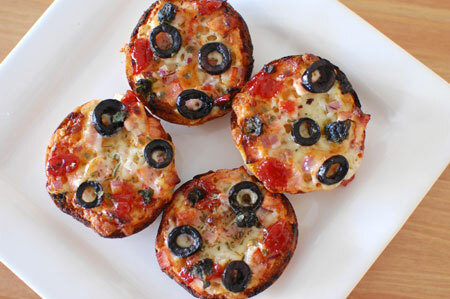 Microwave bagels for 30 seconds. Slice the bagels in half. 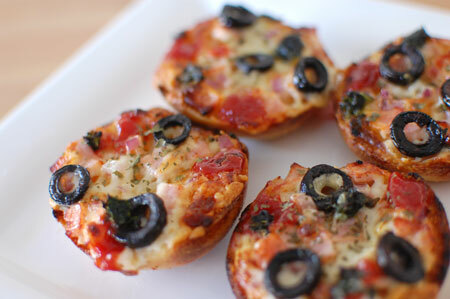 Top halved bagels with cheese, bacon, onion and olives. Squeeze few drops of tomato sauce & Japanese mayonnaise on top, and grill until golden.